Heart Choices: Where Do Your Blessings Come From? Where Do Your Blessings Come From? I love to count my every day blessings. It is good to focus on these things. I'm on the lookout for those blessings and they seem to come when I least expect them. 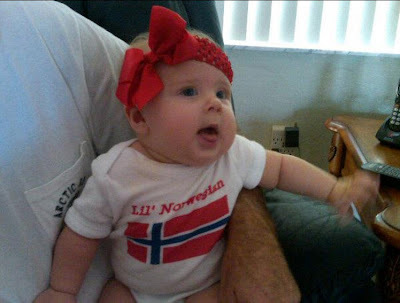 Our family's Lil' Norwegian is an amazing blessing. I love the photos my niece Kristin posts on Facebook of Kenzie. I completed a study on the book of Revelation called A Heart To See Forever by Catherine Martin. In one of the study questions, Catherine wrote the following statements about the seven blessings in Revelation. "That word for bless is makarios and means that your satisfaction comes from God and not from favorable circumstances. It is a wonderful thing to be blessed by God." I thought of how so many consider blessings to be only the seemingly good things they get or do. But in the Lord's eyes, that is not always so. To find contentment in relationship with Him is the best blessing. The past week was picture day at our school. The children normally wear school uniforms but they were permitted to wear what they call normal clothes for photos. I had to laugh at this one! I wish I could show you this whole picture but check out Hadley's shoes. Are they cute or what? You blessed me this morning by taking your time to visit me and dropping a needed prayer. To me, like what you said...to be able to pray for each other is indeed a blessing from the Best Giver. I love the pics you shared. Kids are always cute!!! 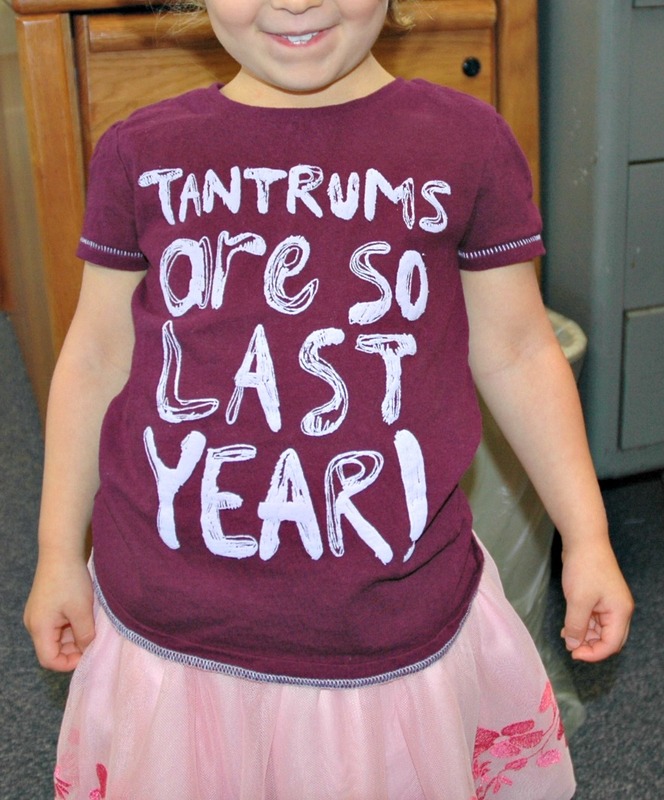 But even more adorable when they make a statement with what they' re wearing. May the Lord bless you and protect you. Those boots are too cute...that would be my girl. I am loving Miss Kenzie's bow, how darling. She is too cute. And that shirt is perfect, haha, as are the boots. I always love looking at what the little ones wear. Enjoy your week Debbie! That precious little Norwegian just got me! Is she ever a little doll, proudly wearing the flag of our families. The statement "to find contentment in Him is the richest blessing" touched my heart. What truth and how the world tries to convince us otherwise. Love the pics! How cute! Have a great first week of Fall! That girl has some style! Love her boots. Wish I had the figure for a shorter skirt and boots. A good look for this precious little one. Love the unique styles of the children's outfits! Blessings and a joyful week Debbie! Being blessed by God ,now there is the thought for the year. I have experienced it in the middle of disaster. It requires sone concentration. You have to eliminate the negative s surrounding you by choice and focus on His voice. Tjis month for me ot is, " Greater is He that is in me than he that is in the world."